Yesterday, Mercury finally finished another Retrograde transit, freeing up the energy of intensive recalibration in the human Mental bodies. Conbined with the Coronal Projections of our own Sun, it will have felt and appeared to most Souls living in flow, that their brains had been replaced with treacle. Physical, mental and emotional projections have been torn free from their energetic boundaries and dragged to the light, allowing for yet further expansion. Everything is flow, although it can feel very tricky to navigate at first. The reality of this matter is due to the sudden change in the Matrix construction around us from 3d to 4d. We were ready for it, were willing it with every ounce of our heart energy. Now it is here we have to learn how to use it. 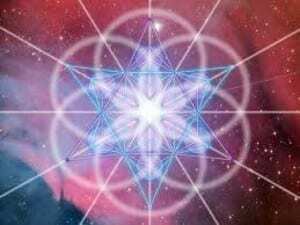 The tiny little patterns, the third dimensional programming of the old paradigm have now become very important. If they are still running, they will be reflecting in our lives with massive impact. If we have chosen to step up, it is truly time to do so, as every small detail that keeps us disconnected from our Higher Aspects will now be shown daily in glorious technicolor. The truth is, we ARE our Higher Selves. So many times, it is written that we receive our instructions, our intuition, from a Source that is greater than ourselves. We are already this aspect here on Earth, and it is our job now to drop this particular veil and embrace this energy, as we are already the most powerful form of ourselves that could possibly manifest. Believe this, and you will achieve anything and everything that has been preset for the mission here on Earth. As well as the personal transformations here, there is the current solidification of the Higher Crystalline Matrix around the planet. The frequency is soaring daily. The new Ley Lines are being fed with beautiful golden energy, reforming from the Heart Centre outwards. One by one, all of the Sacred Portals and power spots are coming online to reflect this. All is exactly as it should be. To step into the full role of a Walking Master of Light is now an option that is being snapped up by so many, and the Golden Age is awaiting this with open arms. This is what we are here to BE, and we already, remember this and embrace the change.